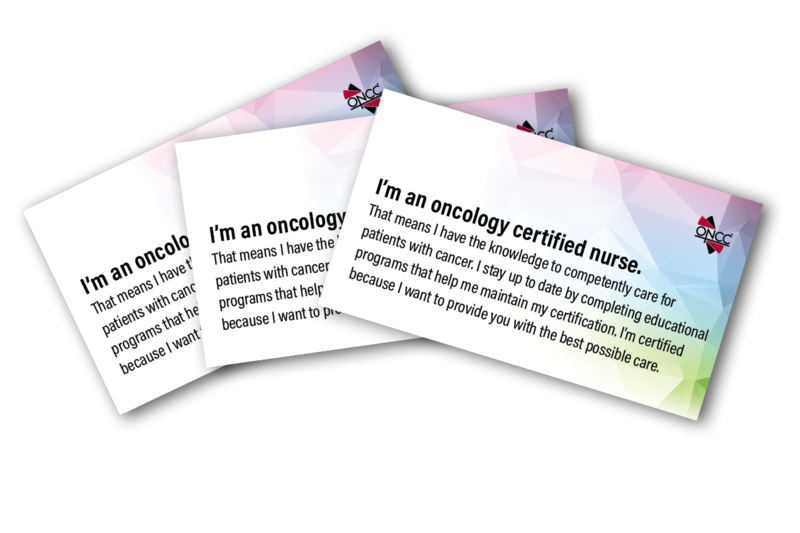 I’m an oncology certified nurse. That means I have the knowledge to competently care for patients with cancer. I stay up to date by completing educational programs that help me maintain my certification. I’m certified because I want to provide you with the best possible care.